Eight is a great age for readers as many of them are quite capable, independent readers by now. This is because the process of reading has become automatised (yes, it is a word!) for them to the point where it doesn't require too much effort. This means that they can concentrate on the content of the story, rather than on the process of working out what all the individual words mean. When this happens, we teachers say kids have moved from "learning to read" to "reading to learn". If your eight-year-old has not quite reached this stage, please don't worry. 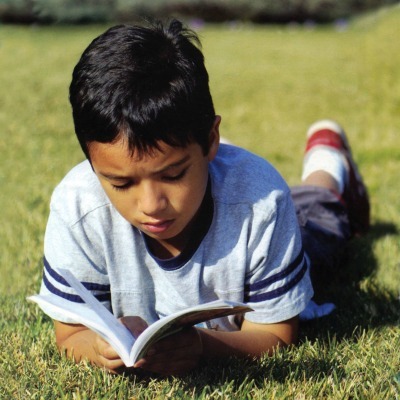 Children learn to read at their own pace and in their own time. The important thing is that they keep reading and that you keep reading aloud to them. 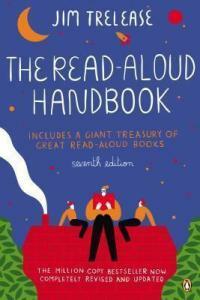 Reading aloud to older children has huge benefits,one of which is that it helps them become better readers themselves. Having said that, if reading seems to be a bit of a struggle for your child, you may like to check out my page about reluctant readers. 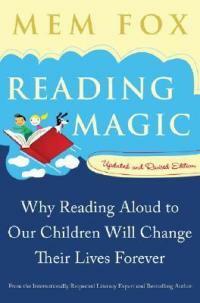 Otherwise, continue reading aloud and seeking out great books and your young reader will progress. By this age, boys and girls do tend to have different tastes when it comes to reading so I've also compiled separate lists of books for boys and books for girls. Having said that, many girls love the books on this page so do give them a go with your daughter. 1. 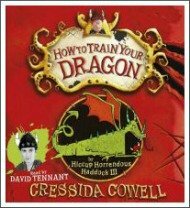 How to Train Your Dragon is about the adventures of Hiccup Horrendous Haddock III, the ten-year-old, red-haired son of a Viking chief. 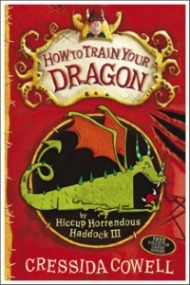 Hiccup, like all young people of the Holligan tribe, must capture a dragon as a rite of passage. If they can't capture and train a dragon, they will be exiled from the tribe. There are 10 books in this very funny series. You can read more about them here. 2. 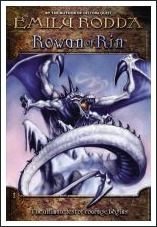 Rowan of Rin was the book that got my reluctant reader into reading when he was eight. It's a great fantasy book by Australian author Emily Rodda and there are now six books in the series. The books are about Rowan who doesn't believe he has a brave heart. But when the river that supports his village of Rin runs dry, he must join a dangerous journey to its source in the forbidden Mountain. To save Rin, Rowan and his companions must conquer not only the Mountain's many tricks, but also the fierce dragon that lives at its peak. You can read more about the Rowan series here. 3. Scream Street was recommended to me by my nephew, Flynn, so I'll let him tell you about it. 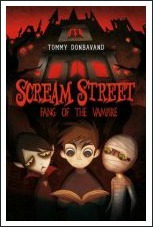 "Hi, I'm an 8 year old boy called Flynn and I'm reading a children's book series called Scream Street. The series is about (and I'm not gonna spoil it) a group of ghouls who are trapped in a street (that's Scream St) and live there. There is a werewolf, a vampire, a mummy and another werewolf. One of the werewolfs has a Mum and Dad that are "Normals" and don't belong there. To get them home, the werewolf sets off on a quest to fund special relics and when he's got them all, a portal to home opens. The books are by Tommy Donvaband. Even though it's about werewolfs and zombies it's funny rather than scary. I love this series!" Check out the other books in this series here.